Name these Unusual Glen Park Trees! Deep in Glen Canyon, there’s a wonderful mysterious trail that winds along the creek, intercepted by unusual twisted trees. This is the Outback Trail. These trees are doomed and we’re trying to save them. We need your help. We hope that if SF RPD recognizes how the community values them, they will leave them be. Here’s a map of the trail. The trees are unique and full of character, and they deserve names. A couple already have them. 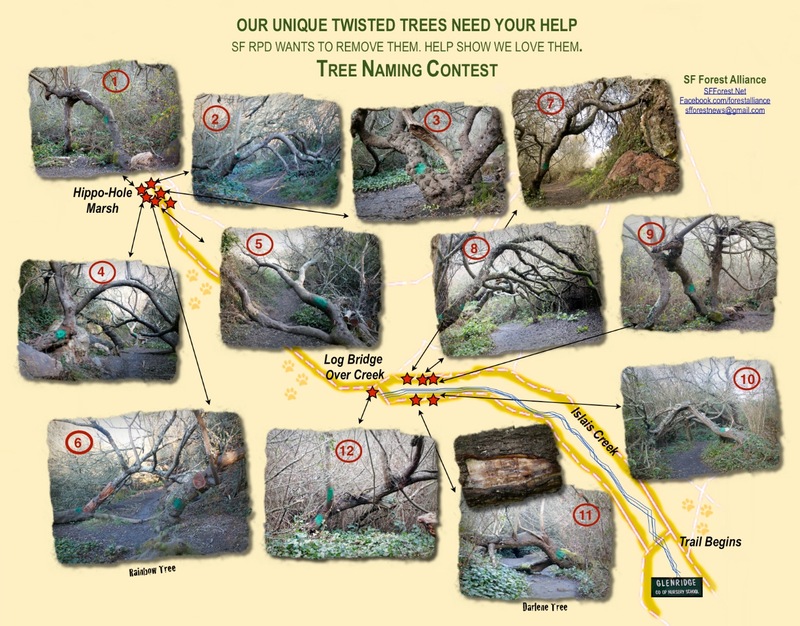 Perhaps you (or your child) have your own names for these trees. Send them to us! If you click on the map below, you can get a larger version for printing. 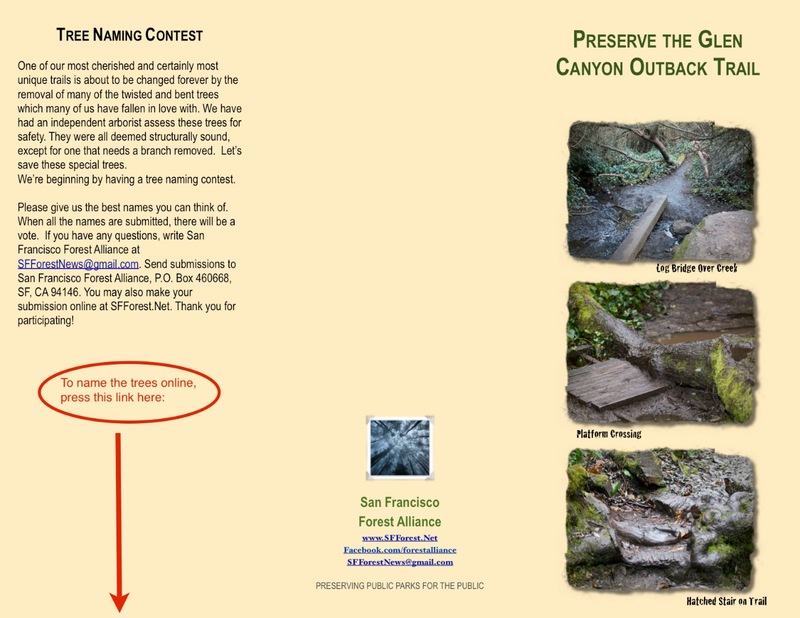 You can go to this input form (click here) — or just email us at SFForestNew at gmail.com — or send them to the PO Box mentioned above. We hope you enjoy this trail as much as we do! One Response to Name these Unusual Glen Park Trees!